Buy your Sunny Boy SMA Storage 2.5 inverter at the lowest price - online only. The new SunnyBoy TL-21 line has increased its differential tension range. You also benefit from a double tracker inverter for 3 kW of power. These 2 trackers (2 independent inputs connected to each other) allow you to position your solar panels on 2 different roofs. The Sunny Boy 2.5TL inverter is very quiet. It uses convection for cooling. You don't have to perform any maintenance. 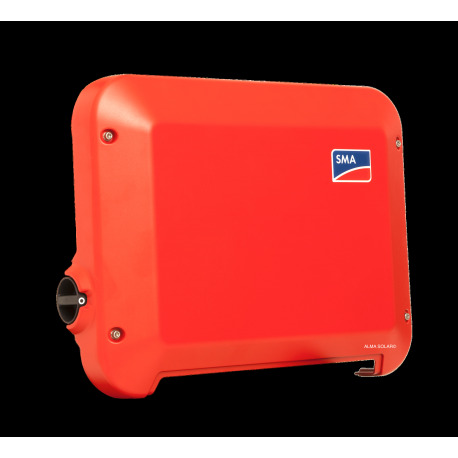 All SMA inverters are INTERNATIONAL versions, ready to be used. The standard warranty is 5 years. Easy installation: The installation of the Sunny Boy 2.5TL power inverter has been re-examined and simplified, now it hangs higher and the cables can be connected without the use of tools.You will receive a full installation kit with all the accessories, wall hanging, AC and SUNCLIX connectors, screws and bolts, allowing you to set it up quickly. Light and quiet: The SMA SB 2.5TL inverter does not have a transformer. It uses a different power transformer technology. Therefore it is very light and easy to carry. Moreover, the new Sunny Boy makes use of an efficient cooling system without a fan, which makes it run extremely quietly. 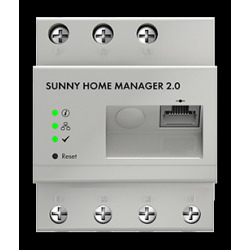 Web-able: The SMA Sunny Boy 2.5TL power inverter gathers all the performance data and sends it to the Sunny homepage. You only need an internet connection, no extra accessory is needed.